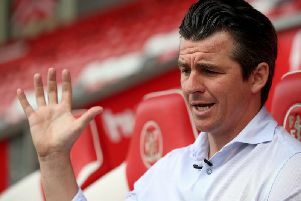 Barnsley say they have lodged a formal complaint to both the English Football League and Football Association after an alleged incident involving Fleetwood Town head coach Joey Barton and Tykes boss Daniel Stendel. The FA would not confirm if they had received a complaint but say they are liaising with South Yorkshire Police. A spokesman said: "The FA is aware of an alleged incident involving Joey Barton; has received the referees report; is liaising with South Yorkshire Police and investigating accordingly."